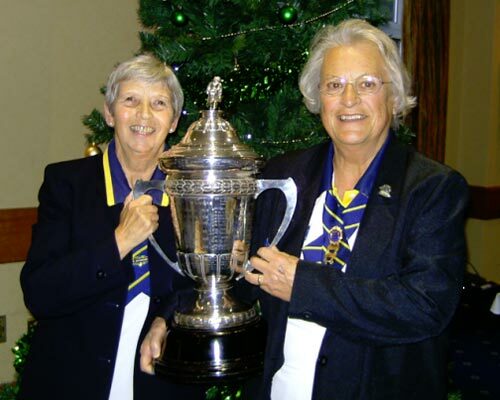 Congratulations to Liz Edmunds and Barbara Read on winning the 2016 BDWBA Trodd Trophy. Congratulations to Gill Barron, Theresa Lewis and Sue Smith on reaching the final of the 2016 Bournemouth Open Ladies Triples competition. 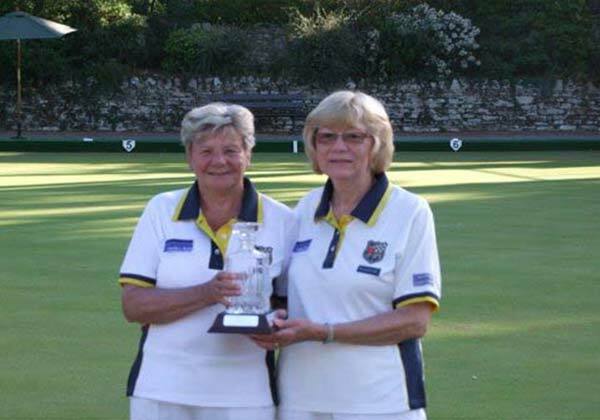 Congratulations to Jenny Hurrell and Barbara Roles who reached the final of the Bournemouth Open Pairs competition. Congratulations to Bill Humphrey on reaching the final of this demanding competition. A massive congratulations to Section 6 winners Moordown A going through the league season winning every single match. 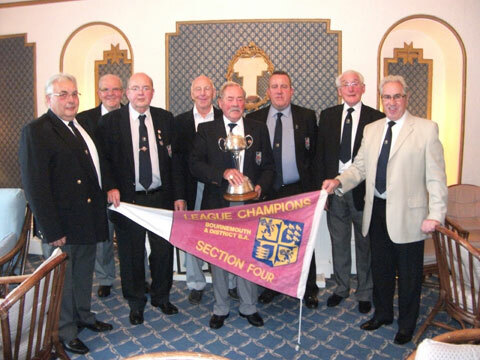 The captain of these stalwarts was David Cooke. 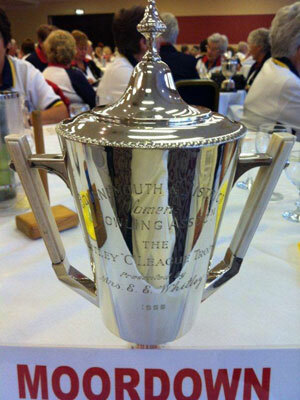 The Ladies had another successful year captained by Gill Barron. The A League team retained their place in the top league and the D League team hope for promotion to C League. 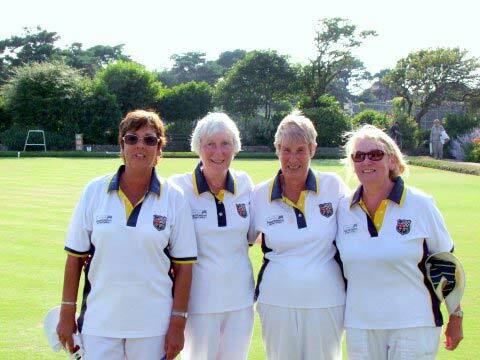 Congratulations to the 4 ladies who reached the finals of the B&DWBA Fours Competition. From left to right: Gill Barron (Capt), Mary Wilde, Terri Shepherd and Dee Phillips. 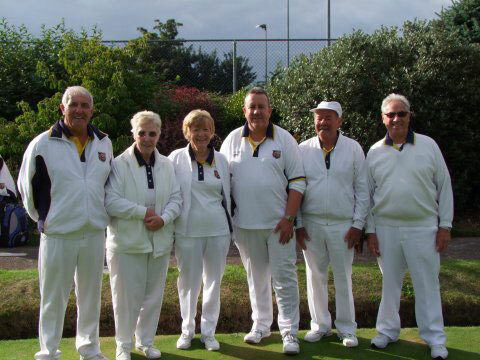 Congratulations to the 6 players who reached the finals of the Bournemouth Evening Triples Knock Out. They came second, but we are extremely proud of them. From left to right: Keith Kearley, Cathy France, Jenny Hurrell, Graham Conway (Capt), John Long and Norman Long. Congratulations to all teams involved with the achievements. 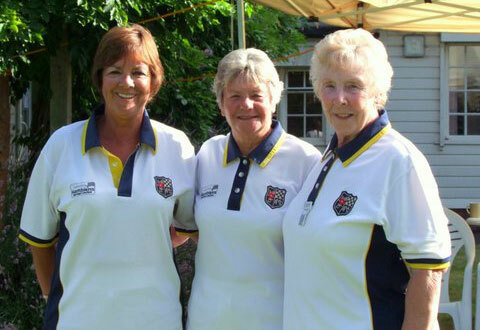 These three ladies where runners up in the Bournemouth Open Triples an achievement we are delighted with. Their Names (from left to right) are Gill Barron, Barbara Roles and Cathy France. 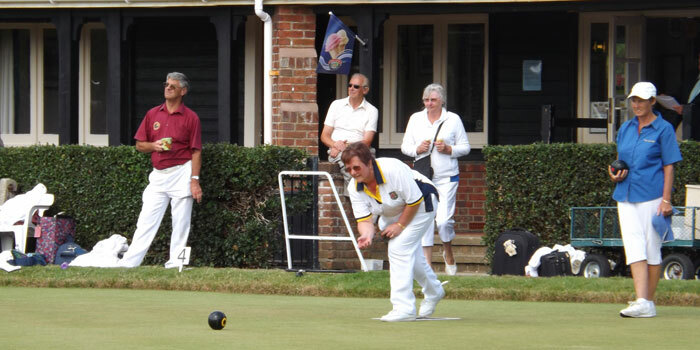 Congratulations to Kim Tavener who won the ladies singles Championship at Southbourne on Wednesday, 24th July 2013. Kim's opponent was Julie Leek. 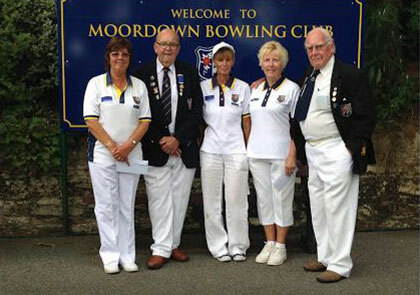 Congratulations to Moordown Bowling Club Ladies who have been promoted to the BDWBA Division B League at the end of season 2012. Well Done to the whole team. 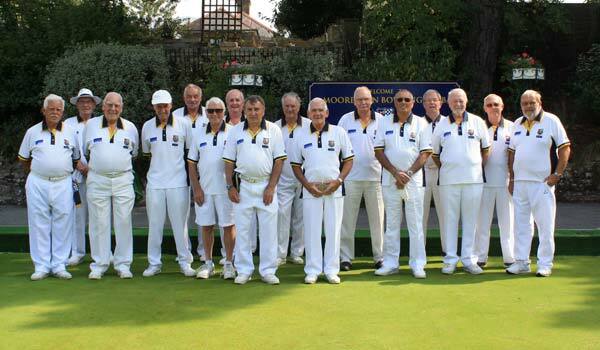 Congratulations to Moordown Bowling Club who gained promotion as League Champions Division 3 in the Bournemouth Evening Triples 2012 season. They have now been promoted to Division 2 for the coming season. 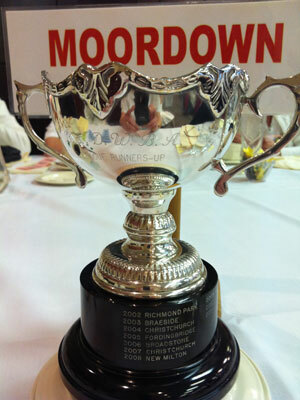 Moordown Bowling Club Ladies were runners up in the BDWBA Division D League at the end of season 2011. 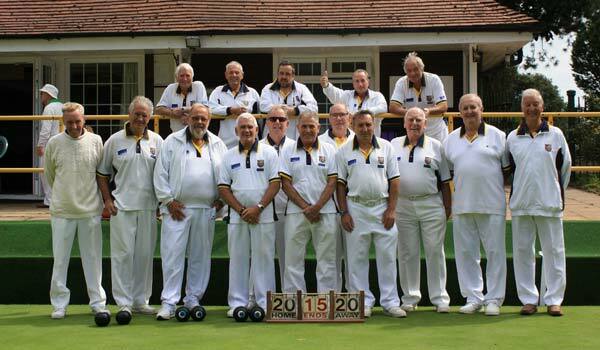 They won 12 of their 18 matches and as runners up gained automatic promotion to Division C for the forthcoming season. Well Done to the whole team. 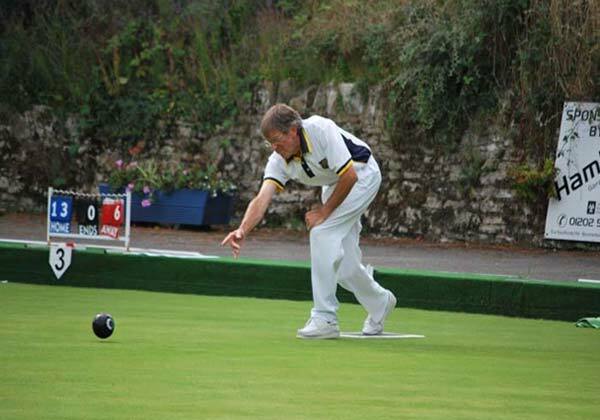 Congratulations to the following Teams who all gained promotion in the Bournemouth Evening Triples 2011 season. Runners up and only 2 points off 1st place. Runners up and only 4 points off 1st place. 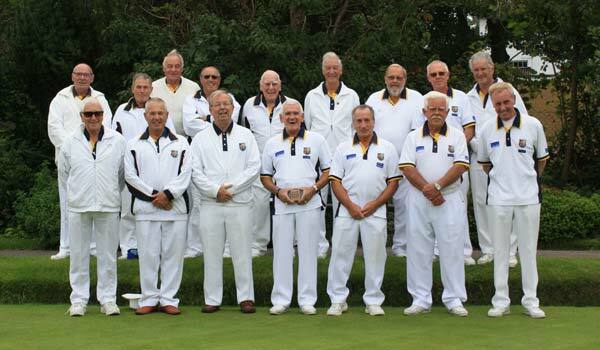 CONGRATULATIONS to Moordown's Men's 2nd team on their election into Section 6 of the B&DBA Premier League for the 2012 season at the recent Annual General Meeting of the B&DBA.